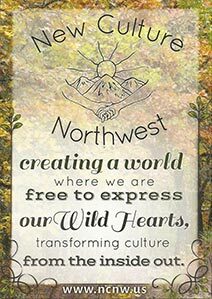 New Culture Cascadia Summer Camp is eight days of personal exploration, co-creating community, and embodying skills for a thriving, sustainable society—it isn’t quite like anything else we’ve seen! What would it take to harness the collective wisdom, resources and desires embodied in the New Culture community to heal the deep divisions in society? As part of our theme for 2018—Inclusivity—we are embracing the creativity and wisdom embodied in campers and empowering the awareness that together we hold the answers for how to transition from where we are to where we want to be. We will have a cadre of talented presenters join us in our experiment to respond to the desires of the community. What do YOU crave most? What do WE collectively desire? What new discovery will we uncover as we practice together being fully present in our bodies and in community? We’ll offer orientation and group experiences designed to help you tap into your desires and support deep connection. Schedule: Each day will include several New Culture favorites, including morning movement & circle to awaken the body and greet the day and ZEGG-style Forum to support, connection and transparency.